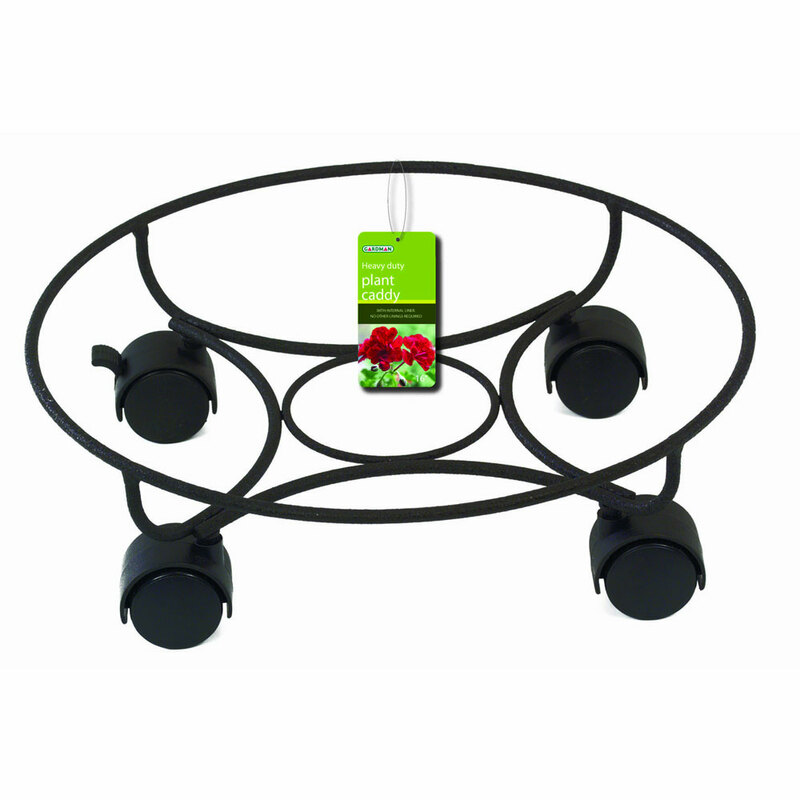 Gardman Heavy Duty Circular Plant Caddy 13" constructed from high quality strong epoxy finished black coated metal with 4 strong castor wheels. Wheeled stand will raise garden planters off the ground to aid drainage options, and improve frost resistance. Ideal solution for moving large heavy pots or planters inside a conservatory or out into the garden from season to season. Diameter 13" (33cm). One wheel includes a wheel brake to ensure stays in situ once positioned. Designed to withstand plant pot weights up to 75kg (165lbs).